Home Encouraging Who Has The Power? Who has power over your life, is it you, or have you given that power over to someone else to manage? Personal power is a right that we are born with, to have someone else hold you hostage to that power is wrong and very damaging. Whether it be a boss, co-worker, friend, partner or family member, if someone else holds the strings to the way you live your life, it is time to cut those cords and make some changes. A healthy sense of self-esteem, self-worth and self-respect rest on the fact that we are in control of how we live our life, what decisions we make for ourself, and how authentic we are able to express our spirit. If you feel you are under someone else’s energetic authority and it is effecting your mental, emotional and spiritual health, then it is time for you to be more honest with yourself, because you haven’t been, and likely not for a very long time. How will you ever get to know the true and real persona of who you are, if you have a blurred vision of your self identity because someone else has command over you! When you look at your image in the mirror, do you recognize who is staring back at you? What are the eyes of the reflection in your mirror trying to tell you? We can tell a lot about ourselves from what we intuitively hear when we stare into our own eyes, because those whispers don’t lie. 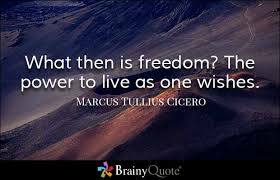 Freedom is a beautiful thing, what does freedom mean to you, is it the liberty to be able to act, speak, or think without hindrance or restraint from someone else, is it about independence, flexibility, or something as simple as just having some breathing space? Our soul is born with the optimum desire to be free, unimpeded by anyone or anything so it may become an authentic expression of it’s Self. Are you yet familiar with an unobstructed version of your Self? If there was ever a time to unshackle the chains of someone else’s unhealthy authority over you, it is now. Perhaps you have been feeling the intensity of this planets energy already, maybe you are not sure why you have been feeling the way you have. It feels like something is holding you down, your energy feels heavy and burdened, your mind won’t stop racing and you are not able to find joy in anything no matter how hard you try, these symptoms come from your Soul, it is time to be honest with yourself, it is time for you to take control of what you have given away to other humans. If your personal power is out of balance, find a way to manage it back to health, listen to your intuition, those gut feelings you get inside – and let that voice inside of you be your God, your Universe, your Buddha, your courage, and your fire.